After homework and chores are done, most kids like spending their free time after school watching TV or playing video games. But weeknights for Brandon Broeker, a sixth-grader at Kyrene Akimel A-al Middle School, look a little different. 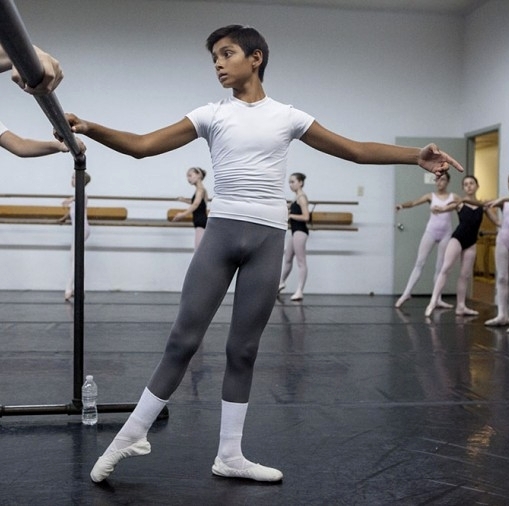 For about nine hours a week, Broeker studies ballet at Ballet Arizona. As one of a few other Ahwatukee Foothills kids also studying at the company, Broeker has found a true love for the art. 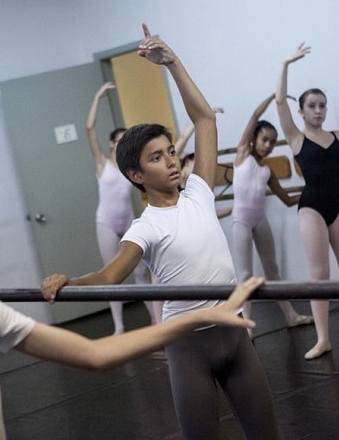 “Ballet, I think, is a good way to express emotions while dancing,” said Broeker, 12. While he tried a list full of activities from swimming, football and soccer, nothing stuck for Broeker quite like ballet. After trying out his first ballet class at age 8, Broeker felt the challenge of being one of the only boys. But after giving it another chance, he instantly loved it. Meanwhile at his middle school last year, according to Broeker, classmates teased him for his dancing. At Ballet Arizona, Broeker heard a professional dancer speak his class, who had an insightful word to offer. Ballet Arizona’s production of “The Nutcracker” will be performed at Symphony Hall, 75 N. 2nd St. in downtown Phoenix, Dec. 7 through Dec. 24.